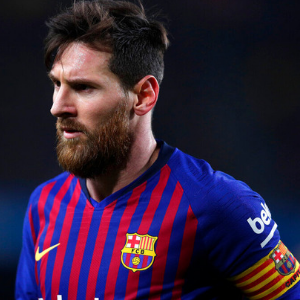 Barcelona - Lionel Messi has overcome a groin injury while strike partner Luis Suarez has sufficiently recovered from a sprained ankle to play in this weekend's derby against Espanyol, Barcelona coach Ernesto Valverde said on Friday. Messi and Suarez were included in the squad of 18 ahead of Saturday's La Liga game at the Camp Nou. Ousmane Dembele is still absent, suffering from a thigh problem. In his press conference, Valverde was cautious about Messi, who was forced to leave the Argentina squad last Sunday because of chronic groin pain. Asked if his captain was 100 per cent, Valverde said: "We think he is, but, hey, Leo has been carrying this problem for some time and we have been working to allow him to recover." "It flared up with his national team. He's had a rest and he is better. We'll be careful with Messi because of the fundamental importance of the matches." Suarez missed Uruguay's recent games after twisting his ankle but Valverde said "the rest did him good." Valverde said he could not give a date for Dembele's return. The Catalans visit Manchester United on April 10 for the first leg of a Champions League quarterfinal. Before then, Barca have three Spanish league games in eight days. They go into Saturday's fixture 10 points ahead of second-place Atletico Madrid. On Tuesday, Valverde's men travel down the Mediterranean coast to face Villarreal and then entertain Atletico next weekend. "We have in mind that it is a derby, which is motivating for us and for them," Valverde said. "This week we have three League games and three difficult games. When you play for nine points in a week, at this stage of the season, it can be decisive. "We know what we are playing this week."